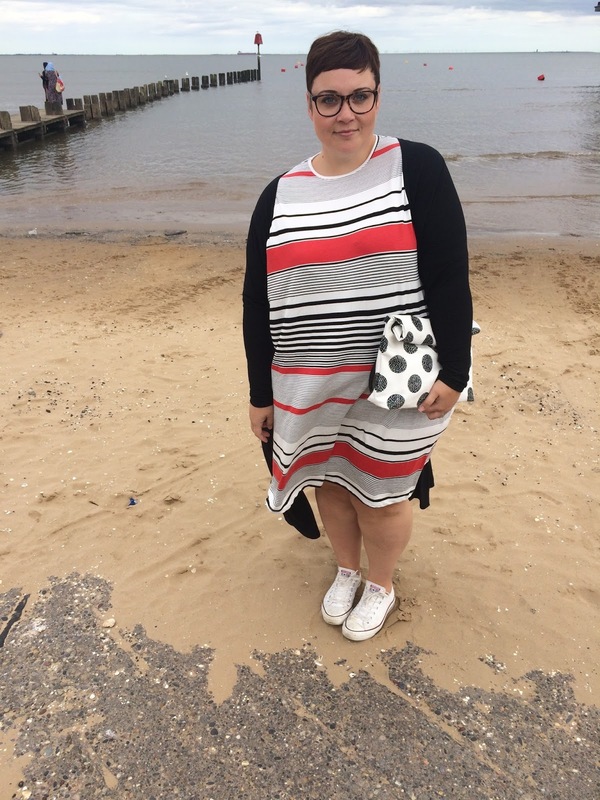 OOTD: Stripes and Spots by the Beach. Hello! Me, him and the babba went to the beach today to catch up with one of my oldest friends, his lady and their two boys. It was so lovely to catch up with my Danny, he lives over in Yorkshire now, so we don't get to see much of each other. Anyway, onto the clothes... I picked up this stripy dress in the ASOS sale, it's just simple tee-shirt dress, bags of room, easy to wear. I know I'm just going to be able to chuck this on whenever I need something comfy. 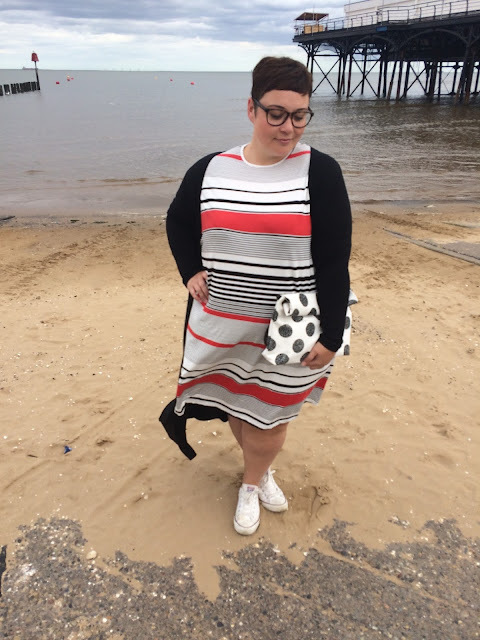 I'm wearing it with my ASOS maxi cardi, Monki Bag and beaten up old Converse. I'm looking forward to September and truly getting back into the swing of things. 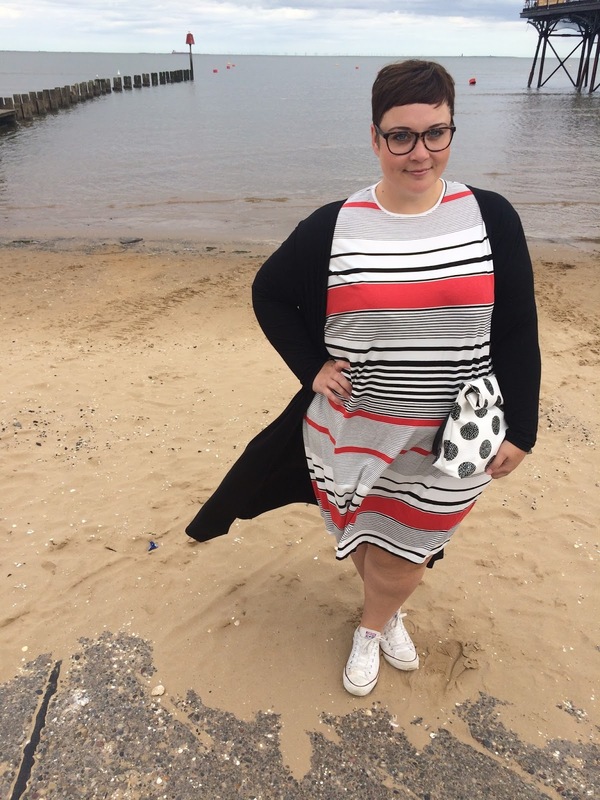 I know I'll have a lot more outfit posts for you all, and hopefully some more travel and foodie bits too! You look great. I love a simple tshirt dress- they always look so well put together and dressed up (I think its all to do with the accessories). Awesome bag.